Gleaming white church peeping out from the top of vast expanses of the green canopy of palm trees is a common sight all across the landscape of Goa. Most of these churches are the remains of centuries which bears a testimony to the energy and enthusiasm of the state that never fails to impress. With so many churches there are also plenty of feasts to go around – A time of happiness and spirituality. Here are 5 Goan feasts that you ought to visit. 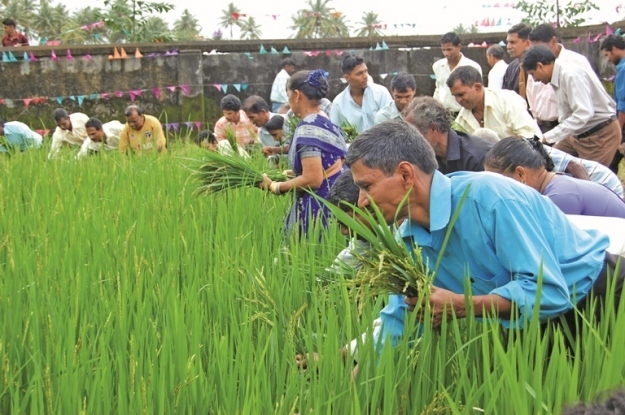 The feast of Bonderam is celebrated on the fourth Saturday of August every year at Divar Island. Bonderam revolves around the involvement of flags which in itself is an interesting story. Many years back, the villagers resented the rules that were adopted for settling disputes regarding the land issues. The Portuguese then set up flags to mark areas where the villagers were unable to take over the lands of the nearby villages. The villagers protested against this system by knocking down all the flags. The Bonderam festival is celebrated in the memory of those protests. Literally translating to Cucumber Feast. 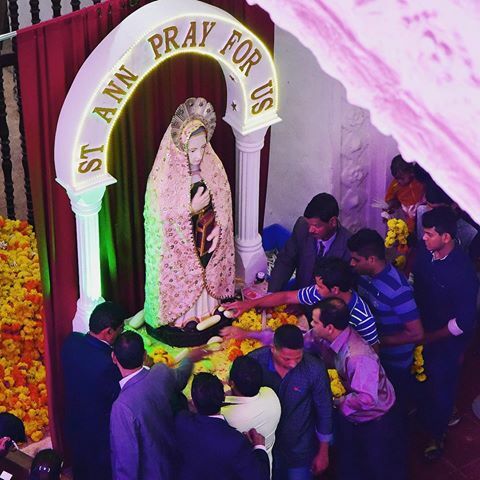 The Touxeachem is celebrated on the feast of St. Anne, 29th July, at the Santana Church at Talaulim. This feast attracts childless couples who offer up cucumbers at the feet of St. Anne, with prayers that she will bless them with children. They then take the cucumbers home and eat them. 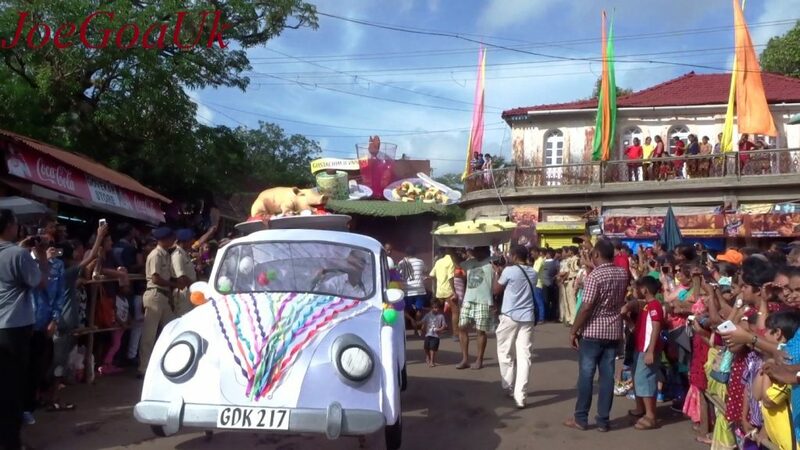 As with most Goan festivals, the area surrounding the church is lined up with vendors selling traditional sweets, grams, candles, and most importantly, thousands upon thousands of cucumbers. The festivities are often accompanied by a traditional band and of course High Mass which is said at the church. Konsachem is celebrated at Our Lady of The Snows Church at Raia near the town of Margao in Salcete taluka. The feast is known as such as it happens after the sheaves (konsa) of rice harvest which are cut at the time of the celebration. The feast is also celebrated with all pomp and splendour at the Taleigao church in Panaji. Here some of the sheaves which are cut by the local priest are also sent to the Governor of Goa. On this day as per tradition, a football tournament is held at the local grounds among the clubs of the surrounding areas. The feast of the Three Kings commemorates the adoration by the Three Magi, at the feet of the Baby Jesus. This feast is usually celebrated on the 6th of January, or the first Sunday in January. It is celebrated in a lavish way in three places in Goa. The Reis Magos Church at Verem in the Bardez taluka in North Goa, the village of Chandor in South Goa, and at Nossa Senhora Dos Remédios, in Cansaulim in South Goa. 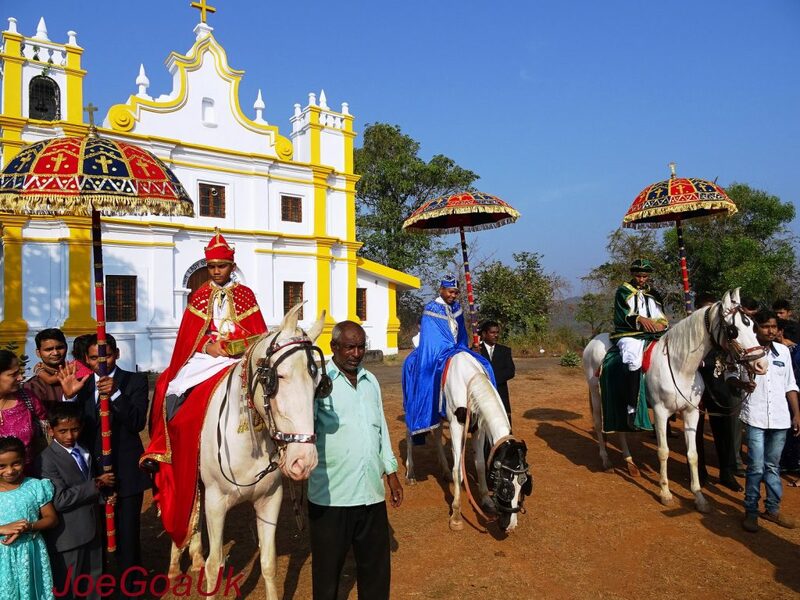 This festival is marked with grand processions and the crowning of three kings from the three villages, who are then escorted with pomp and fervour to the church on Remedios hill. 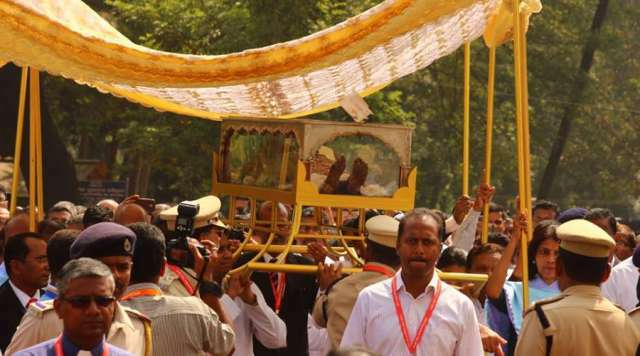 The Feast of St. Francis Xavier is unarguable the biggest feast in Goa. It begins every year from 3rd December and continues up to 2nd January. Which happens to be the peak season. So certainly there can be no better time to plan your trip to Goa. It gives you the superb opportunity to be a part of a religious festival and fair and also be witness to the extravagant activities. Pilgrims come together at the Bom Jesus Basilica from far-away Kerala and Tamil Nadu, from neighboring Karnataka and Maharashtra, as well as from the most distant corners of the world. Lokaso is your local friend. Be sure not to miss out on the Lokaso app, it has everything you need for your time in Goa.